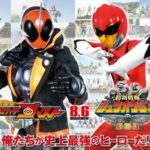 New Dobutsu Sentai Zyuohger Scans Online- Featuring Zyuoh Gorilla & Zyuoh Wild! 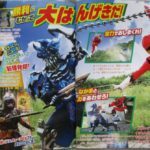 The latest round of magazine scans gives us a quick look at the future adventures of Dobutsu Sentai Zyuohger! 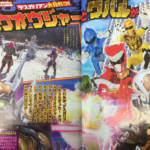 *Centerpiece of these new scans is the mighty Zyuoh Gorilla! 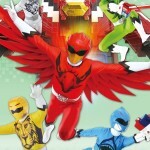 Yamato befriends another stranded Zyuman by the name of Larry and learns to bring out his inner power through the VISOR UP technique, transforming into a super-strong Red Ranger! 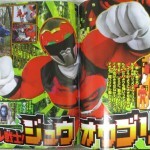 *With new abilities comes a new weapon: Cube Gorilla! 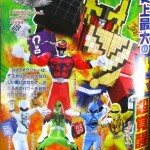 The 6th Mecha is armed with a powerful cannon to fight off Deathgaliens and can combine with Cube Tiger and Cube Elephant to form the mighty Zyuoh Wild! 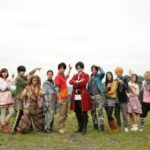 While Yamato trains, the remaining Zyuohgers continue to explore the human world- and hopefully learn more about the mysterious “bird-man” that gave Zyuoh Eagle his powers. 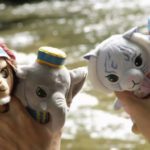 What will they find along their journey? 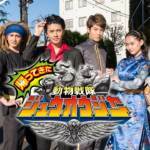 Stay tuned to Tokunation as we keep you up to date on all details for the 40th Super Sentai Series!